I feel like I grew up that the Brookside. From a chubby little kid to a rude teenager. I always remember walking up those back stairs into the bakery and loving the smell of the cookies. Then going over to my Dad, Nathan Stein, and getting a Dixie cup of Cherries. 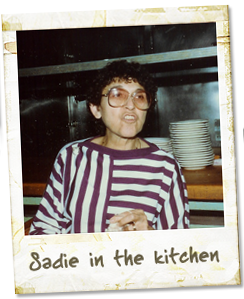 Sadie was always so nice to me and made me feel like I owned the place. Walking around like a princess. Later she would give me first Job as a camp counselor and babysitter. 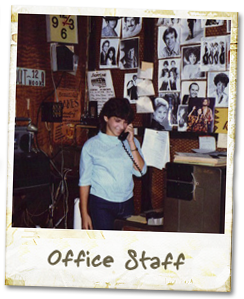 When I was a little older she let me work the switchboard and help with the front desk. On show nights we would sneak down for a peak at all the amazing food displays. My father was a master at creating art work with watermelon, from the Bird cage, to the tall ship and the fishing pond with live gold fish, it was always amazing. The Brookside always felt like home, to this day, I imagine it at it was and can walk the halls in my mind.